Interval International, a prominent worldwide provider of vacation services, announced the addition of TRS Coral Hotel in Costa Mujeres, Mexico, to its vacation exchange network. The Palladium Hotel Group’s recently relaunched TRS Hotels offer adults-only luxury experiences under the signature Infinite Indulgence ®. This latest resort joins the TRS Yucatán Hotel and the TRS Turquesa Hotel in the Dominican Republic, which are already in the Interval network. Located on white-sand beaches just north of downtown Cancún, TRS Coral Hotel has 469 spacious suites designed in a contemporary style with elegant furnishings, flat-screen satellite TVs, complimentary Wi-Fi access, and large balconies or furnished terraces with views of turquoise waters and landscaped gardens. The property’s modern architecture and sustainable building materials reflect a forward-thinking design that does not compromise the natural environment. Guests at TRS Coral Hotel can take advantage of restaurants, bars, swimming pools, and the private Helios beach club. Other on-site services and activities are a fitness center, dedicated butler service, 24-hour room service, and nightly live entertainment. They also have access to countless amenities and activities available within the adjacent Grand Palladium resort complex: seven themed a-la-carte gourmet restaurants that include cuisine from Argentina, France, Mexico, and Spain and 18 bars serving premium beverages; the more than 51,000-square-foot Zentropia Spa & Wellness Center, offering a large array of invigorating beauty and body treatments, a fully equipped gym, and dry and moist saunas; gift shops; bike trails; beach volleyball; and numerous water sports. At the recently opened Rafael Nadal Tennis Center, visitors can enjoy private classes or group programs with players of similar age and level or improve their skills in weekly tennis camps. A weekly summer camp is available for children between the ages of 8 and 18, combining tennis classes with fun and enriching activities. The center has eight illuminated clay tennis courts, a soccer field, a paddle tennis court, bar and cafeteria with TVs for watching sports programs, a gym, and an exhibit of Nadal memorabilia. Nearby attractions include renowned Mayan archeological sites, ecological parks, nature sanctuaries, crystal-clear ponds (known locally as cenotes ), the town of Playa del Carmen, and the island of Cozumel. TRS Coral Hotel is a member of The Leading Hotels of the World, Ltd., a collection of more than 400 luxury hotels in over 18 countries, which embody the very essence of their destinations. 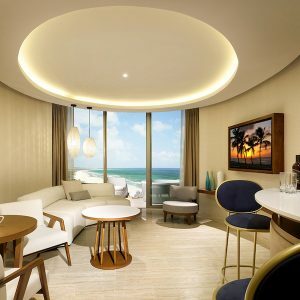 New purchasers at TRS Coral Hotel will be enrolled as individual members of Interval International and also become Interval Gold ® members, entitling them to many flexible exchange opportunities and upgraded benefits and services. These include Interval Options ®, the ability to exchange their resort week toward a cruise, hotel, tour, golf, or spa vacation, or a unique Interval Experiences adventure; ShortStay Exchange ®; Golf Connection, for access to select private courses; VIP treatment with Dining Connection; City Guides, for insider advice; Hertz Gold Plus Rewards ® membership; savings on Getaway vacation rentals; online hotel discounts; additional special offers at restaurants and retail locations worldwide; and VIP Concierge SM, for personal assistance, 24/7. Palladium Hotel Group is a Spanish hotel chain with more than 40 years of experience. 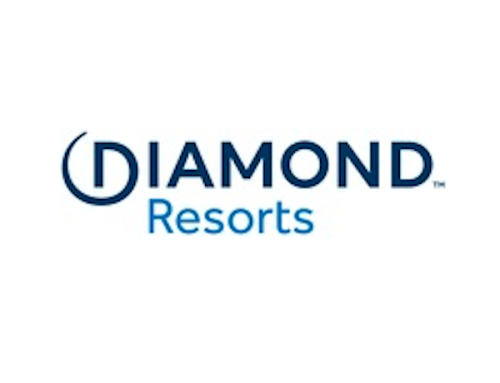 The company has 50 hotels in six countries: Brazil, Dominican Republic, Italy, Jamaica, Mexico, and Spain. Palladium operates nine brands, including Ayre Hoteles, Bless Collection Hotels, Fiesta Hotels & Resorts, Grand Palladium Hotels & Resorts, Hard Rock Hotels (Ibiza and Tenerife), Only You Hotels, Palladium Hotels, TRS Hotels, and Ushuaïa Unexpected Hotels. Palladium Hotel Group’s philosophy is to offer its guests high-quality amenities and services in each hotel and resort, as well as excellent value. Palladium Hotel Group is a family-owned company (Grupo Empresas Matutes) and is based in Ibiza, Spain. For more information, visit www.palladiumhotelgroup.com.